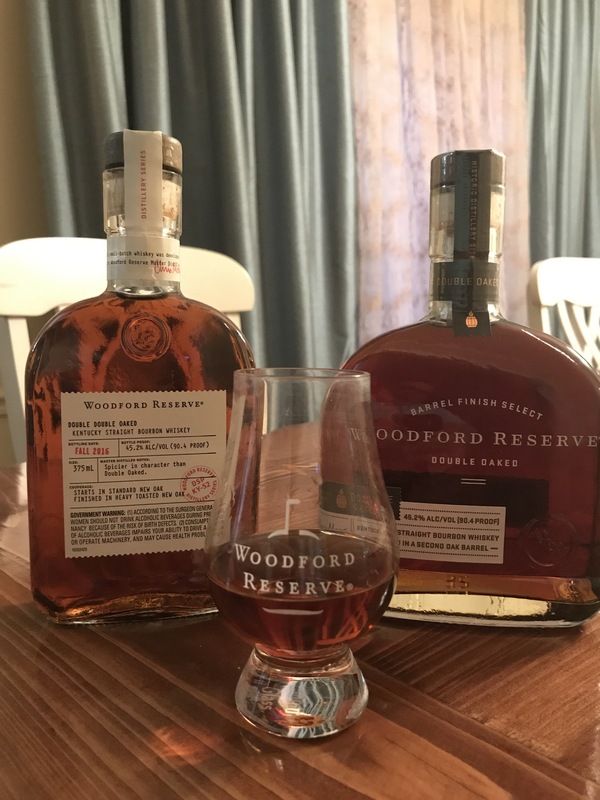 Ever since I got back from Kentucky in April I have been waiting to do this: to try the Woodford Reserve Double Double Oaked you can only get at the distillery. Of course, I wanted to compare it to the Double Oaked that is readily available. Now, I have drunk some Woodford Reserve in my day. I bought it regularly for a while when each bottle came with a free Glencairn glass. Considering I use one almost every night after dinner, I could never have too many. It is the standard bourbon at every gathering of my wife’s family. However, given my own personal choice I prefer EH Taylor small batch or Eagle Rare from Buffalo Trace in the same price range and flavor profile. 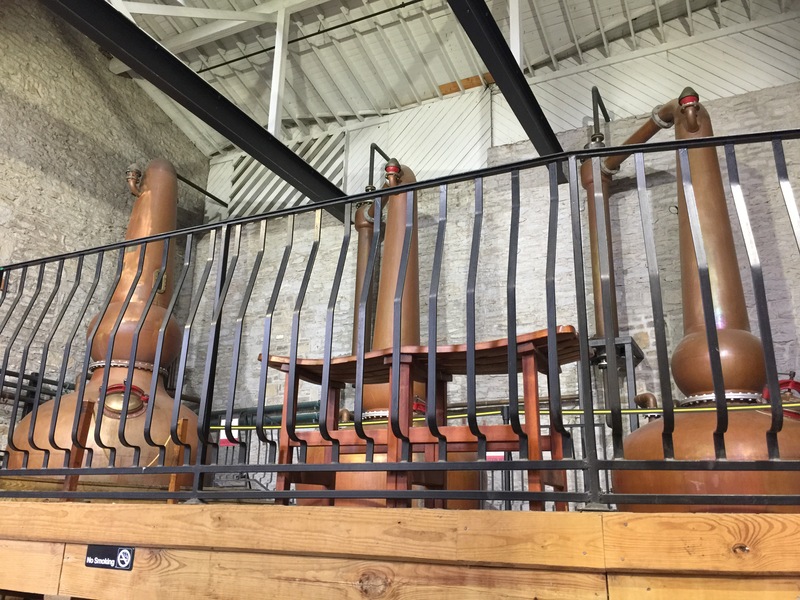 Woodford, although small, is a beautiful distillery where roughly one half of the whiskey that is bottled is made old school in pot stills. More old school still, Woodford makes and chars it’s own barrels, and I believe they are the only distillery in Kentucky to still do that. 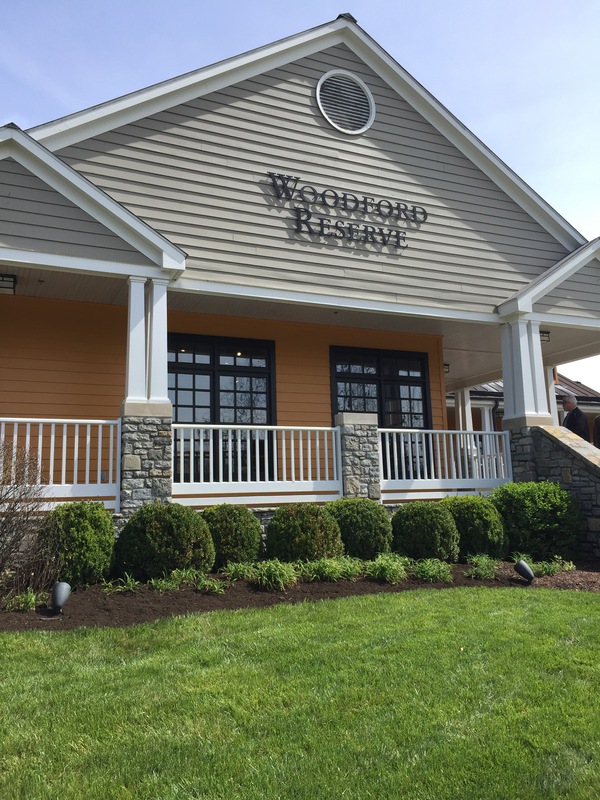 While there, I tried Woodford Double Oaked. For me, this is head and shoulders above the regular Woodford. 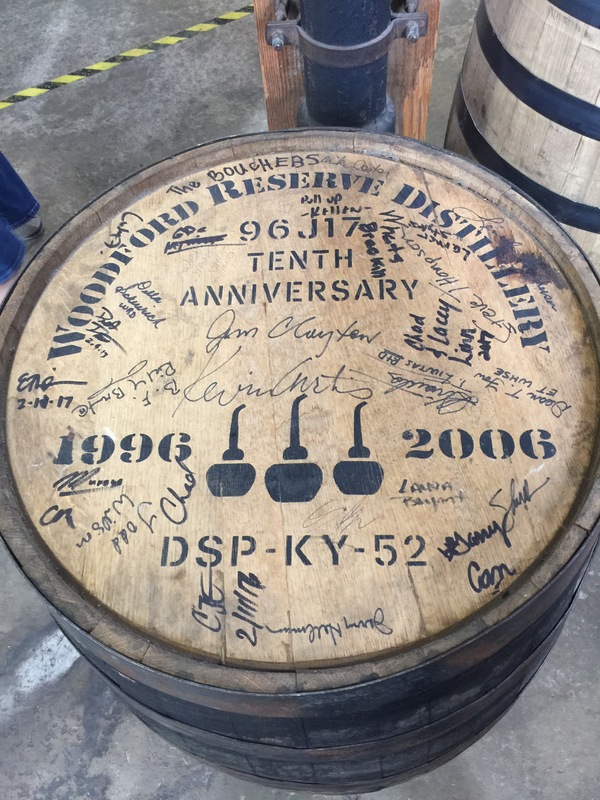 It is an oak forward Bourbon on par with Diageo’s Orphan Barrel Bourbons and other ultra aged or cask strength bourbons. Such a great oak flavor for a bourbon that it just a tad over 90 proof. The secret to this whiskey’s success is secondary aging in fresh new oak barrels that are heavily toasted and only lightly charred. Double Double Oaked is triple barreled. So, let’s see how they compare. Double Oaked: one of the world’s truly magnificent whiskies. Beautiful reddish mahogany in color; very dark considering its relatively low proof. Nose has cinnamon and oak notes that are so delightful you just can’t help but to keep nosing it. Palate is the right blend of oak, corn, baking spicies and raisins with an excellent mouthfeel that is on par with far more expensive and rare whiskies. The slightly spicy finish reminds you this is rye recipe bourbon and is slightly dry, but the spice lingers for a little bit. Sure, there are some limited release bourbons in this price range that are better. But they are limited release. This truly amazing whiskey is something you can buy any time you want, EVEN AT LOCAL GROCERY STORES in my hometown. It is amazing there is something this good that is this available. How do they do that? Double Double Oaked: Only available at the distillery, only in pint bottles. Same beautiful color although slightly darker. Triple exposed to fresh char. Nose is actually a little flatter than the Double Oaked. But the mouthfeel is absolutely elegant. Less on the raisin notes and slightly spicier on the finish. But for such a rare limited release, I have to say it is a little disappointing; we humped five bottles of this stuff back and it contributed to over weight luggage fees and, this was it? 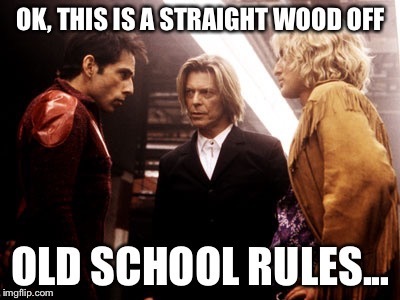 And so the wood off ends just like the Zoolander walk off. 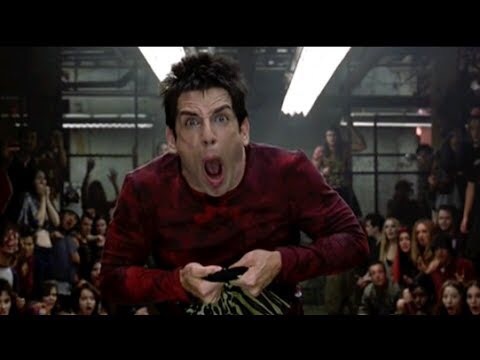 Oh, and if you have never seen the movie Zoolander you should. ← Eagle Rare Single Barrel Select From Hokus Pokus and Stagg Jr.-Great Bottles!